We first met the Jak Jeckel team at the Pepper Festival in Bower’s PA last year. I was blown away with the graphic designs and labels. After all, the first thing you see that may determine if you are going to buy a given sauce is the label and appearance. 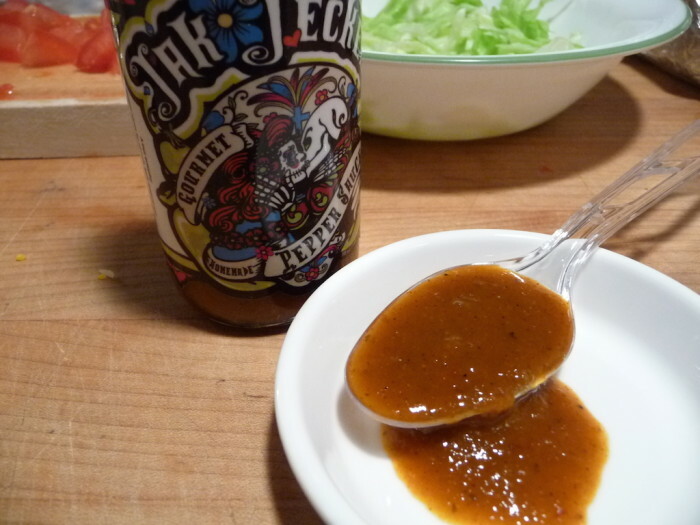 There’s no denying Jak Jeckel sauces have a great look to them. Original and Red Heated Ingredients: habaneros, jalapeños, red bell peppers, ground chipotle, fresh minced garlic, habanero salt, paprika, orange peel, lime peel, lime juice and spices. contains soy. Winter Cinnamon 2013 Ingredients: habanero pepper, water, jalapeño pepper, lime juice, red bell pepper, jerk sauce, chipotle pepper, habanero salt, maple syrup, cinnamon, bullion, lemon pepper, smoked paprika, citrus spices. Original and Red Heated: Superb. Amazingly good. Lots of bits and chunks to chew on. Fantastic mouth feel. Winter Cinnamon: Thin and weak. Nothing special. Original: Searingly hot – no flavor. 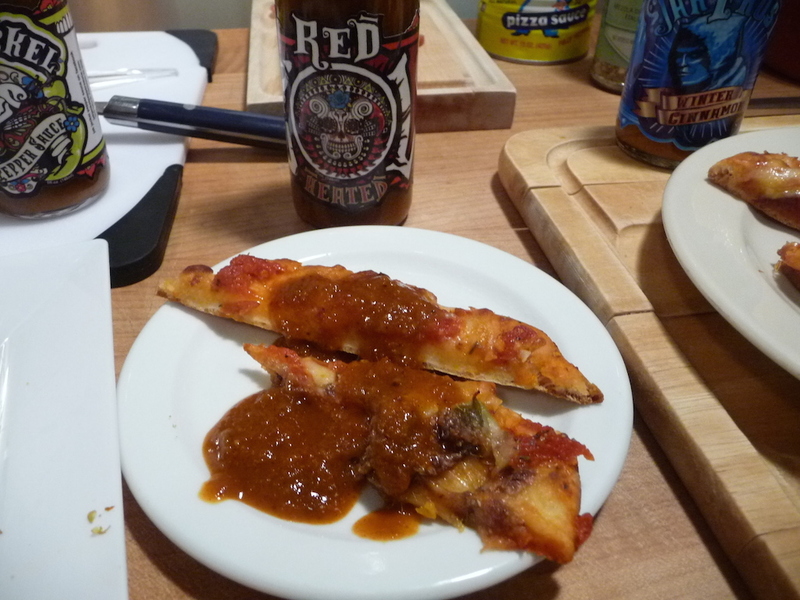 You may like a blaze of heat in your habanero sauce, but I find the supporting ingredients sadly overpowered. Too hot to enjoy. Red Heated: Surprisingly NOT as hot as the original (IMO). Perhaps we received some goofy bottles, but the Red Heated we have is not as hot as the Original, but we find it more flavorful! Jak Jeckel may have a consistency issue with their sauces. Best tasting of the trio. Winter Cinnamon: Dusty and gritty. Full mouth of habanero heat, very little cinnamon flavor. Again, all those delicious looking ingredients do nothing for me – they’re lost in the heat. Unremarkable. Heat Level: – All three of these flavors seem to have the same searing heat level. Only the Red Heated deserves some dignity by trying to be flavorful and palatable. Disappointing. Label/Graphics: – Of course. The colorful graphics and custom labels are beautiful. Sadly, the sauces are not as pretty. Award winning labels. These sauces are not bad by any means. 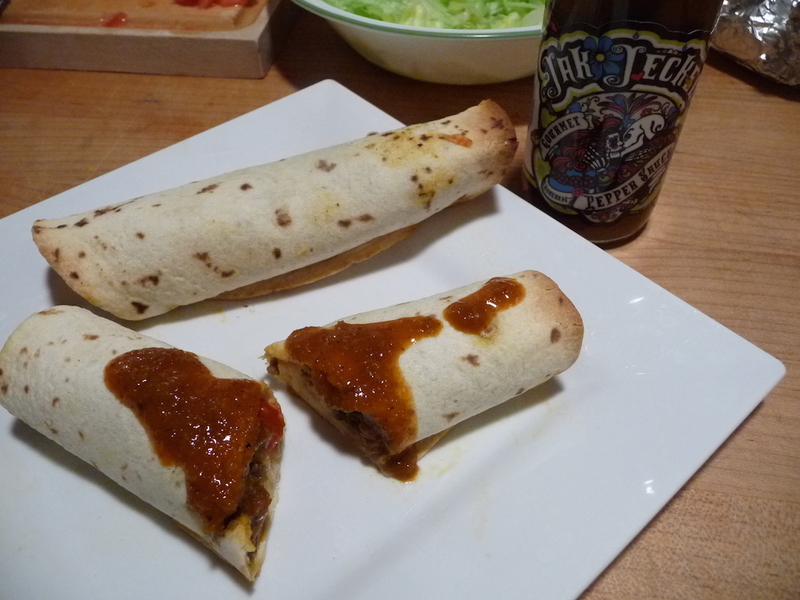 I just know there are chileheads out there, and some reviewers too, that would love these sauces. The whole package is colorful and inventive. They even have some “Coffin” packaged products for you collectors. If this were school, I’d give them an A+ for effort, and a D- for execution. But it’s not school, it’s the real world of hot sauce. So I can only award them Overall. I think the boys at Jak Jeckel need to re-think their recipe and shoot for more flavor and less heat. But that’s me. 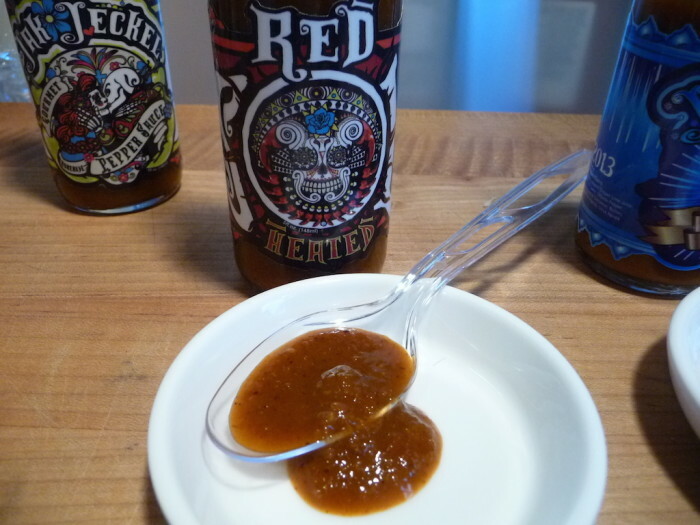 Also, they WILL have a booth at the upcoming 2014 NYC Hot Sauce Expo, so if you are going, stop by their booth. Definitely have some rock star labels, it catches the eye. Knowing you are a habanero sauce guy, you might like the middle of the road flavor, “Red Heated”. I’m a bit embarrass to admit this … but it’s actually the first time I’ve heard of and seen Jak-Jeckel Pepper sauces. 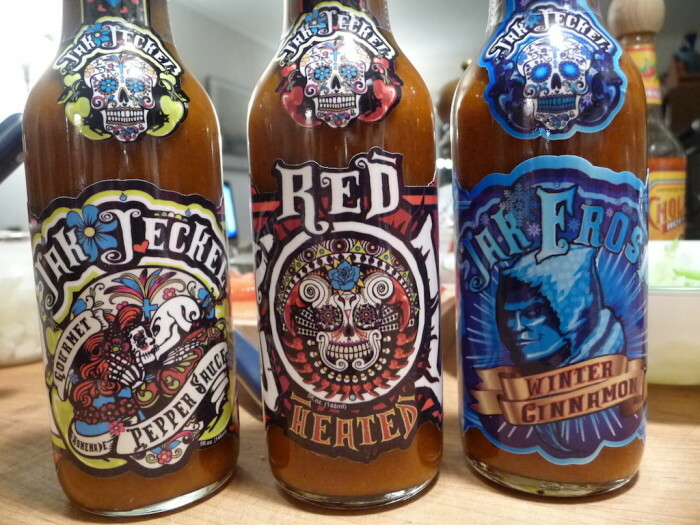 Yes they do look deliciously hot and those labels are pretty cool. I haven’t tried this sauce yet. But from al the ones I have sampled to date, I agree that what you see on the label isn’t always what you’re gonna get. And I agree with you that overwhelming heat just doesn’t do it for me. 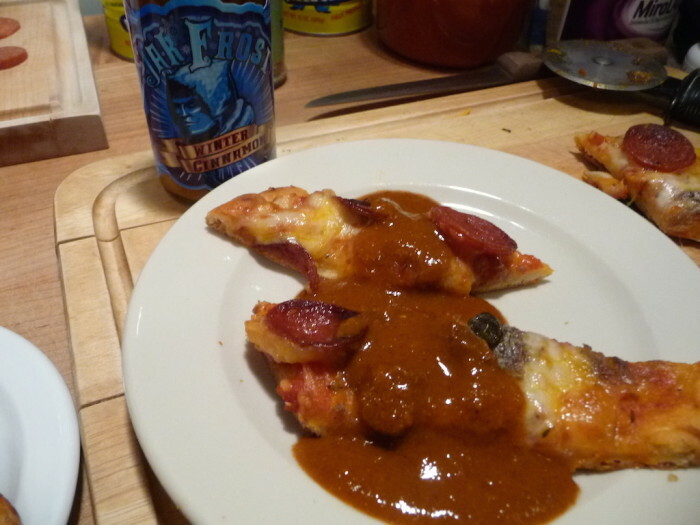 I like the flavors and fun of hot sauces. 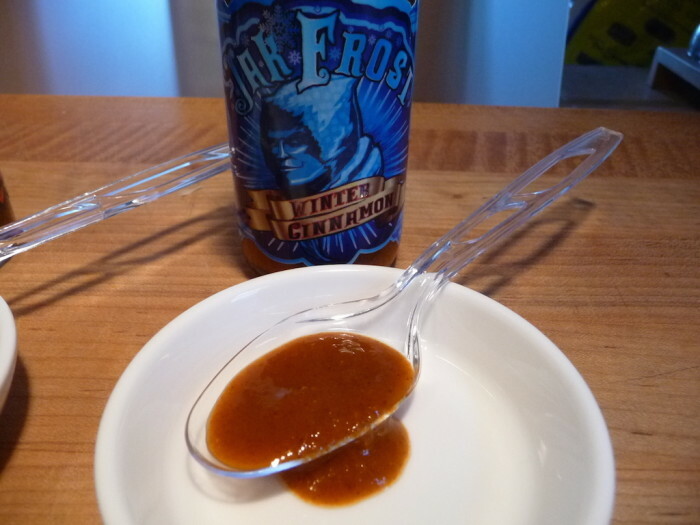 Sometimes with a hot sauce all you get is heat and very little flavor. Unfortunately, that’s what some of the leading hot saucd producers have, all bark and no flavor. Sorry, I have to disagree, and I HAVE tasted this sauce. Jak Jeckel’s pepper sauce is definitely not all that hot. It is much more about flavor to me, and I also love the label. 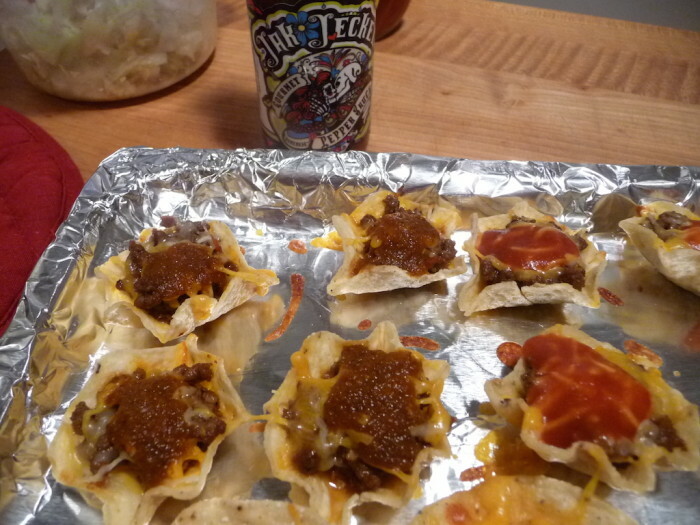 The flavor of this sauce, I would describe as like a more flavorful version of Taco Bell hot sauce with more freshness and a touch of citrus… I know that sounds bad, but it’s actually really good! The lime and chili flavors really pop out of this one to me. It’s balanced and really not hot at all. It’s like a table hot sauce somewhere above chalula in heat level. Maybe I’m biased towards something hotter than the usual restaurant hot sauce heat level though.